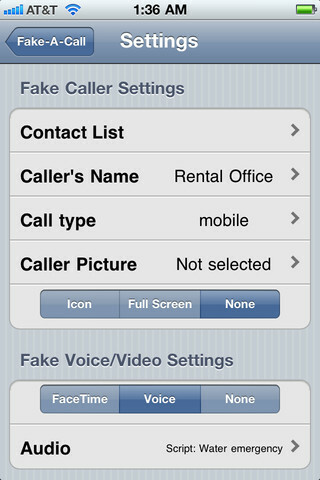 Just in time for April Fools we bring you Fake-A-Call. 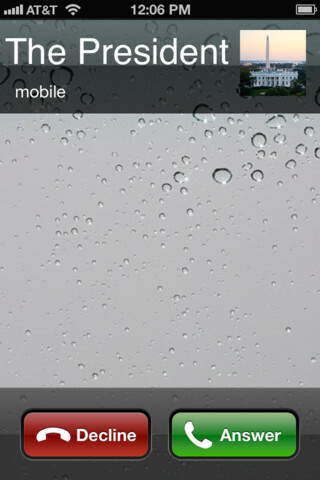 Fake-A-Call lets you setup fake calls to your iPhone. It even includes fake Facetime calls. 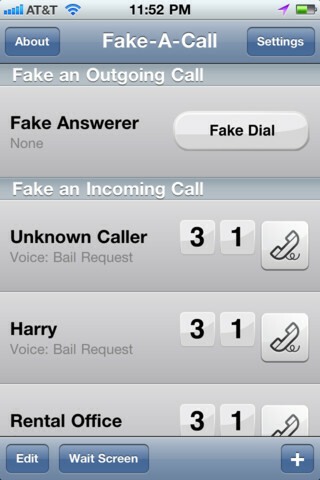 This app takes it to the next level by letting you not only fake incoming calls, but also fake outgoing calls. When using the app it really looks like your iPhone is fully functional, including a fully functional keypad, speaker, mute, and contacts buttons. 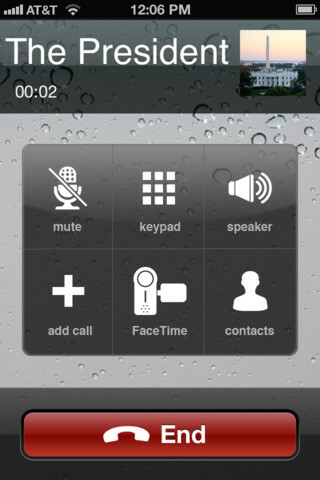 Fake-A-Call gives you 9 voices to choose from to start talking to you when you answer the fake call. Just ad lib your end of the conversation for an ultra realistic fake call. In addition there are 9 scripts to play when you answer the phone. Just answer and repeat what the voice says -- answer the fake call and the app will tell you what to say to sound like a doctor, lawyer, or just someone who really needs to go. Fake-A-Call costs $0.99, which should be worth it for a good laugh from your friends (or to get out of an annoying date).